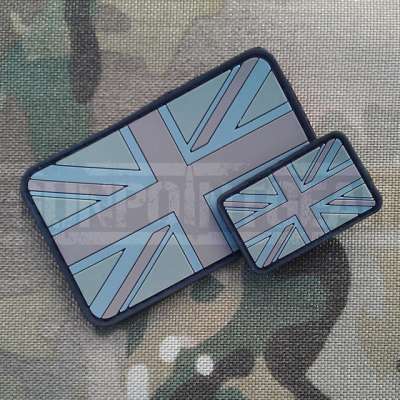 Gun Point Gear Union Jack Double Pack - Foliage Velcro Patch. A Union Jack PVC patch. The PVC patch allows for a very clean, elegant design that doesn't get caught up on velcro as emboridered patches can. This design features rounded corners to help avoid snagging on equipment and clothing. This is the double pack of our Union Jack patch, you get 1 x Large Patch and 1 x Small Patch in the same colour.